With our GentleMax Pro® system, Dr. Heaton and the experts at Heaton Health Beauty & Wellness can remove vascular conditions and pigmented areas such as spider veins and sun spots, quickly and easily. We have helped people throughout the Stratford area get the look they want, and we can do the same for you. The GentleMax Pro system uses laser technology, directing powerful yet gentle light-based energy into the skin. The laser targets the treatment area, causing the blood inside it to coagulate. 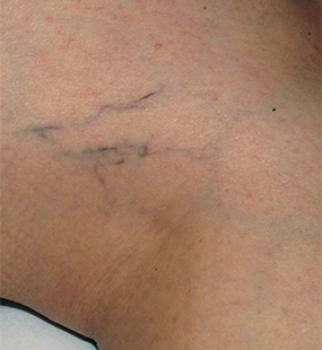 Over time, the vein collapses and eventually disappears. Because the laser energy is directed toward the vein, the surrounding tissue remains unharmed. Patients report that laser pulses deliver a sensation similar to the snapping of a rubber band against the skin. Discomfort is further minimized by GentleMax Pro’s patented DCD™ cooling device, which releases cooling bursts of cryogen with each laser pulse. 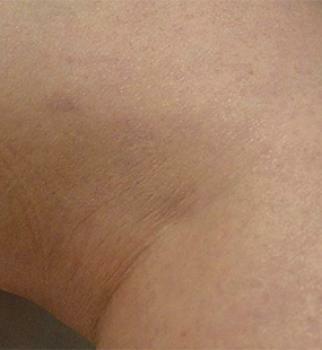 Find out if GentleMax Pro laser treatment can help you reduce the appearance of spider veins, leg veins, telangiectasia, and more. Contact Heaton Health Beauty & Wellness or call 519.305.3550 today.